Grateful thanks to Alec G0BCO for significant hardware donations. This repeater came on air on 31 March 2014 after being built by Exeter Amateur Radio Society members John G8XQQ, Pete G3ZVI, Keith G7NBU and Skip 2E0TGT. The original GB3EX located on Haldon Hill was closed down in January 2011 after over 20 years service as the rent had become unaffordable. A suitable new site was identified about a year ago, and although it potentially has excellent coverage, there is no infrastructure there, except for an agricultural building. 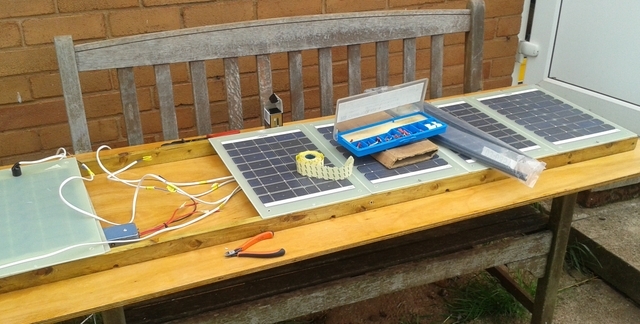 The Exeter Repeater Group has been faced with a number of technical challenges, such as providing power sources. It was anticipated that there would be a long delay in getting Notice of Variation (NOV) approval from OFCOM but to our great surprise we received the licence 3 weeks after submitting the application; grateful thanks to the ETCC and OFCOM for excellent work. The original GB3EX used 1.6MHz split, for the new GB3EX we have opted for 7.6MHz split. This is technically much less complicated in terms of filtering and also avoids the use of 433/434MHz causing interference to LPD’s. 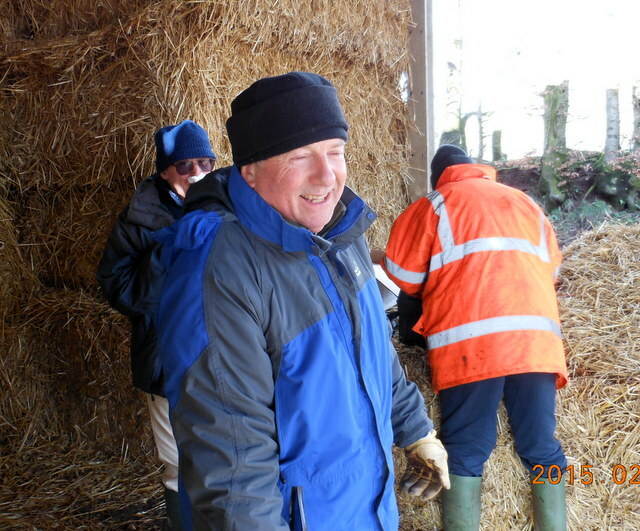 Pete G3ZVI wrote a fascinating article for the April 2015 edition of RSGB's RadCom magazine, in which he says that the construction was a great example of teamwork. In June 2015 a telemetry encoder was added to the repeater. 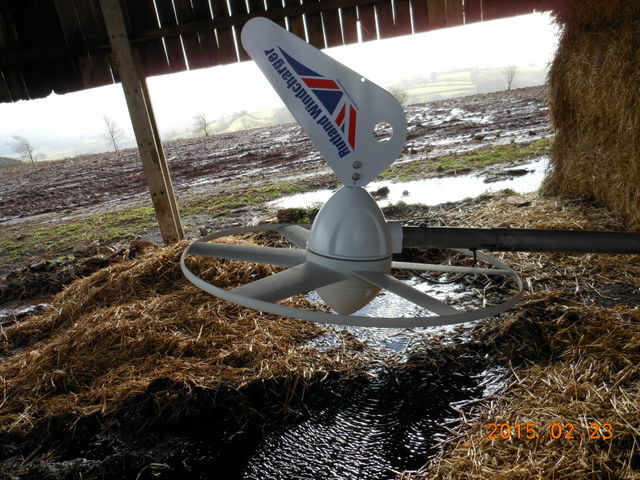 The repeater is mounted in a plastic box and has been elegantly and expertly designed and built by John G8XQQ. There are three transceivers and a control box that allows remote DTMF management of all three repeaters individually. Low standby power usage, cooling and reliability were the main factors in the design. Many thanks to Pete G3ZVI for the use of his digital images. Keith G7NBU secures antenna cabling and power to the unit. The repeater logic is basic with a periodic call sign and a single pip on loss of carrier. There is a few seconds of hang time so as not to inhibit access. The site has spectacular views of the Exe valley. 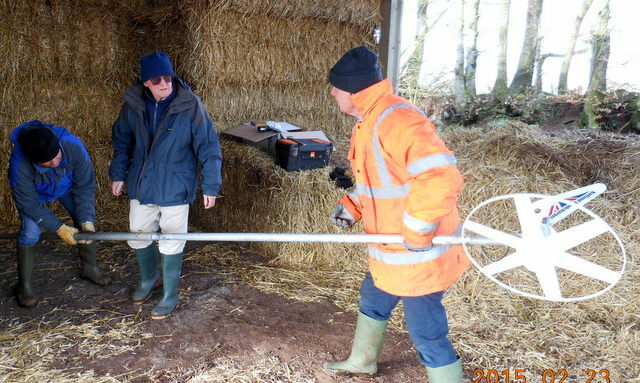 These four pictures show the wind generator being installed by Keith G7NBU, John G8XQQ (in the orange jacket) and Pete G3ZVI (in the sunglasses) deep in the winter mud. Many thanks to Allan G1JXI for the photos. 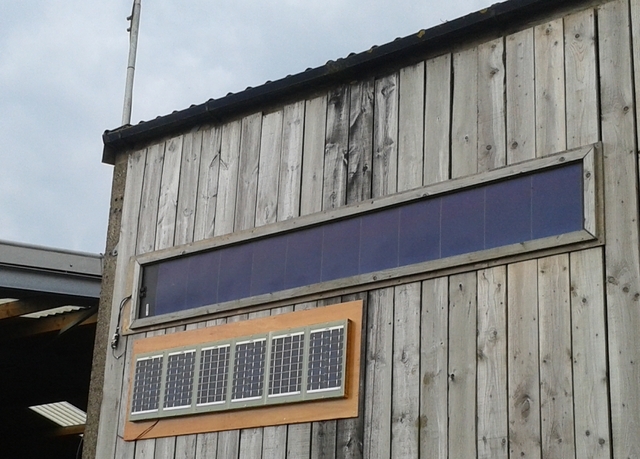 In August 2015, Pete G3ZVI manufactured an additional solar panel array and with assistance from the Exeter Raynet team mounted it next to the earlier array. 'We need to get that' said Pete pointing to a stacked dipole system 'fixed up there', indicating to the top of the barn. Problem number one, the 'barn' was constructed from wood and concrete pillars. Concrete pillars are great, very strong under compression etc, but they don't take kindly to drilling or raw bolts, get it wrong and the owner will do his nut, and probably chuck us off site with a demand for a very expensive replacement. I surveyed the barn and its interior - trying to avoid the contents! It appeared that the concrete uprights were cast in an 'H' section, with a number of preformed 15mm holes. Some measurements were and a rough sketch drawn up. I decided that the best option would be to mount the mast about half way up the side of the barn, reducing the need for a full size pole (and the weight) and also getting the whole lot way above head height and harms way. There had been various discussions about concreting in steel boxes and all sorts of ideas, which all cost money! My suggestion seemed to meet with general approval and the next step was for me to come up with a detailed plan. Sitting on my garage step that evening, I mulled over what I needed to do while a cup of coffee went cold... I dug out the sketch I'd made and began to toss ideas around in my head. Due to the construction of the barn roof the mast would have to stand off the support by about 100mm. I have a number of old kitchen units on the walls in my garage and they all serve as impromptu drawing boards, fairly soon I had the brackets I needed roughly formatted, if not to exact scale. The next day my buddy Phil came over for a visit and with his help I set too selecting metal, cutting, drilling and welding. At some point I'd been given a rather nice piece of stainless steel plate - way to heavy a gauge for me to use during fabrication at home, but ideal for part of this job. I took it down to a local engineering shop and got them to trim it to size and bend it to 90 degrees. I then welded a stay on either side to form a base shelf which the bottom of the mast sits on. By the end of the day we'd fabricated four brackets and the bottom mount would be ready in a couple of days. Having collected the mast tube from the suppliers locally I cut it in half and then modified it with the addition of two very large nuts, each welded over a hole I had drilled in the pole near one end, which eventually would be the top. Into the nuts I threaded to matching bolts, complete with locking nuts. 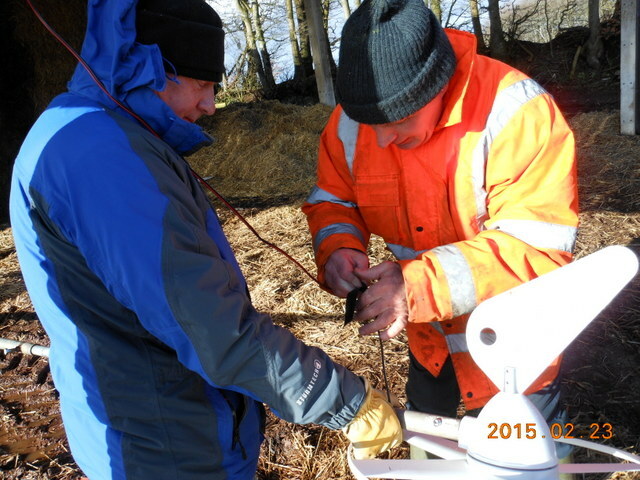 Tightening the nuts onto the pole which the dipoles were mounted would, with any luck lock them into position, which it did! Shortly after, arrangements were made to meet up at the repeater site and the intrepid four Pete, Keith, Phil & Skip headed off up there to put the whole lot in the sky - 'to run tests' said Pete. I dumped a whole load of gear in a box (you never know what you need while out and about while messing with amateur radio) and with the requisite brackets etc. set off with Phil anticipating being back for lunch time..... Ho- Hum think again :) Lets just say our part was successful, the brackets all fitted, the bolts were the right length and even the pole with two antennas stuck on top seemed manageable if you didn't mind hanging off a ladder, counterbalancing with one leg. I wasn't MY fault if Pete's fancy Dan antenna analyzer gadget kept getting spurious emissions from the blooming great mast just over yonder now was it?? (should've got an MFJ lol). In the end local amateur Vic confirmed it was working with a response using his hand held from his front room (so as predicted the coverage DID extend as far as Exeter - Bonus). Skip is always keen to see that repeaters are used correctly (as he is the EARS Training Officer) and warmly recommends the legendary advice narrated by Bill Hamilton back in the 70's in the USA. Owned and operated by John G8XQQ, this repeater near Stoke Hill provides good coverage in the Exe valley. It was moved to this new higher location in October 2016. Managed by the Exeter Repeater Group, this repeater was moved from the Norman Lockyer Observatory to a new site a few miles to the east in August 2014.